Build a career in one of the fastest growing industries with a Certificate IV in Building and Construction (Building). Now available online through RPL. The Certificate IV in Building & Construction recognises the skills and experience of experienced builders who have not yet completed their qualifications. We can help builders attain the subjects and qualifications needed to obtain a building contractor's licence. 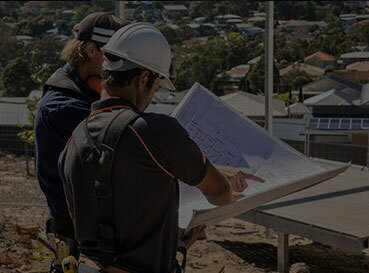 This RPL program is available to Australian students with partially completed local studies, as well as to Australian builders with industry experience. Migrants can convert their overseas qualifications into Australian recognised certifications, provided they have extensive knowledge of Australian building requirements and standards. An industry-recognised qualification can advance you in your current career path, or can help you into a new, better one. Upon receiving your certification, you could qualify for a position as a builder or a construction manager. Advance yourself professionally with our help. We help people across Australia to achieve a nationally-recognised qualification through our partner RTOs using the RPL process, broadening job prospects without laborious, expensive retraining. Skills Certified wants to make it as easy and stress-free to receive the acknowledgement you deserve. In the event that you’re deemed not competent for the qualification you’re pursuing, you’ll be eligible for a 100 per cent refund of any fees paid, or free gap training by a qualified instructor to get you accredited. Take the next step in your career with our free, 60-second skills check. Any questions? Get in touch with our national offices by calling us directly on 1300 885 695, or sending a message to [email protected] or via our contact page.